Just because outer space has zero gravity doesn’t mean that astronauts shouldn’t be able to enjoy a genuine whiskey. Well, to come up with a solution against microgravity conditions, Ballantine’s partnered up with the Open Space Agency to bring us the Ballantine’s Space Glass. The Space Glass was meticulously crafted to not only look good, but to be space-worthy as well. 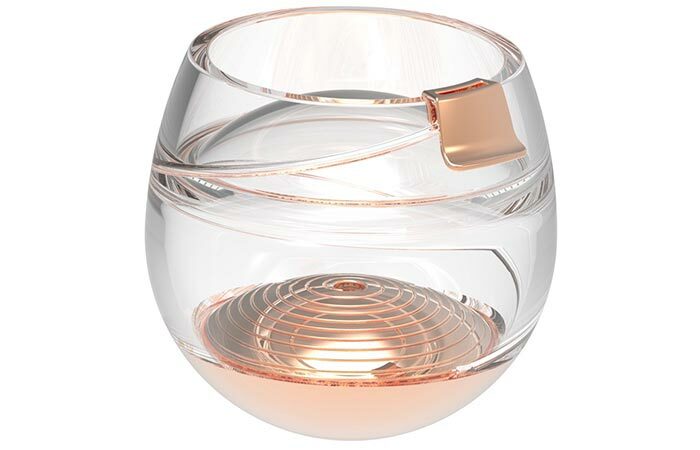 The glass itself is constructed from medical-grade ClearVue plastic as well as 3D printed rose gold. 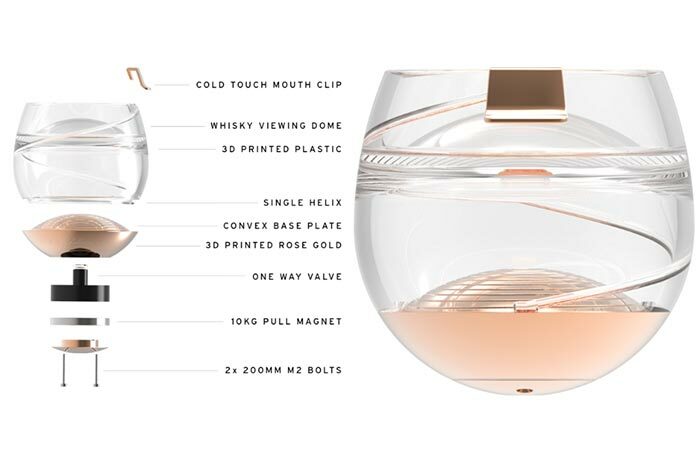 The glass itself is constructed out of medical-grade ClearVue plastic that makes it exceptionally durable and 3D printed rose gold for aesthetics. The rose gold was also chosen for its non-reactive properties which ensures that the whisky never loses its flavor. Don’t forget to check out the awesome microgravity testing and instructional videos below. You simply fill it with your favorite malt from a non-return valve in the bottom. The rose gold was also selected for it’s non-reactive properties that ensures your malt’s flavor will never change. It works via a non-return valve on the bottom that can be used to fill up the chamber. From there on out, the chamber is connected via an intermediary tube that was constructed to look like a single helix which then connects to the rose gold mouth piece. 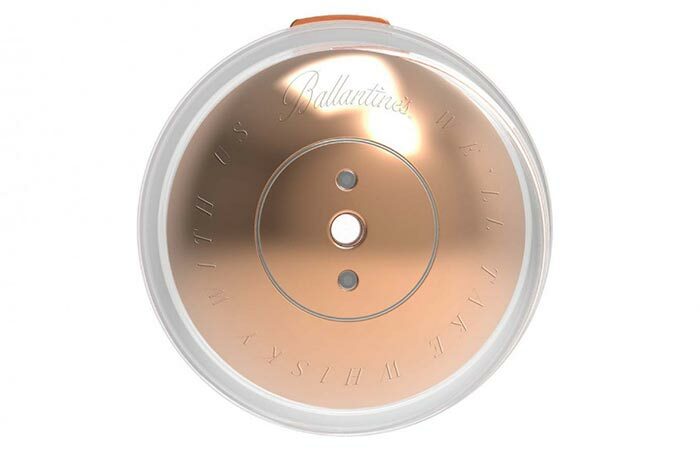 This way there’s no spillage and even the Astronauts can enjoy a fine Ballantine’s while floating around in space. Designed to be aesthetically pleasing as well as functional. Interestingly enough, the Space Glass also has a magnet included into the base which has an attraction power of 10kg (22.04 pounds), which allows you to simply attach your glass against any metal surface.